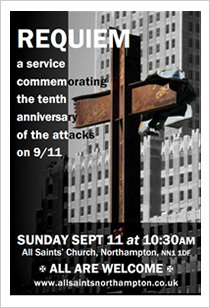 On Sunday 11 September we mark the tenth anniversary of the attacks on New York and Washington D. C. with a Requiem Mass for the Souls of all who died on that day. The service, which begins at 10:30am, will be sung by the Choir of Boys and Men to the setting of the Requiem Mass by Gabriel Fauré. 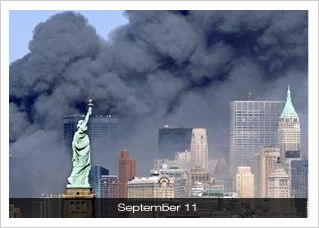 Our Assistant Organist, Roger Palmer, will give the European première of Brooklyn-born composer Richard White’s organ work “In memoriam: September 11, 2001”. At the service we will also remember the work of the British Charity, The Firefighters Memorial Charitable Trust, who were established twenty years ago, and who do so much to support the relatives of those Firefighters who lose their lives in service. remember that as God loves us and forgives us, so too do we love and forgive. All are welcome, but we advise you to arrive early.